Kenny "Babyface" Edmonds, Ginuwine and Warren G.
An exciting lineup for the Soul Train Awards weekend concert taking place on November 7 at Mandalay Bay Events Center. 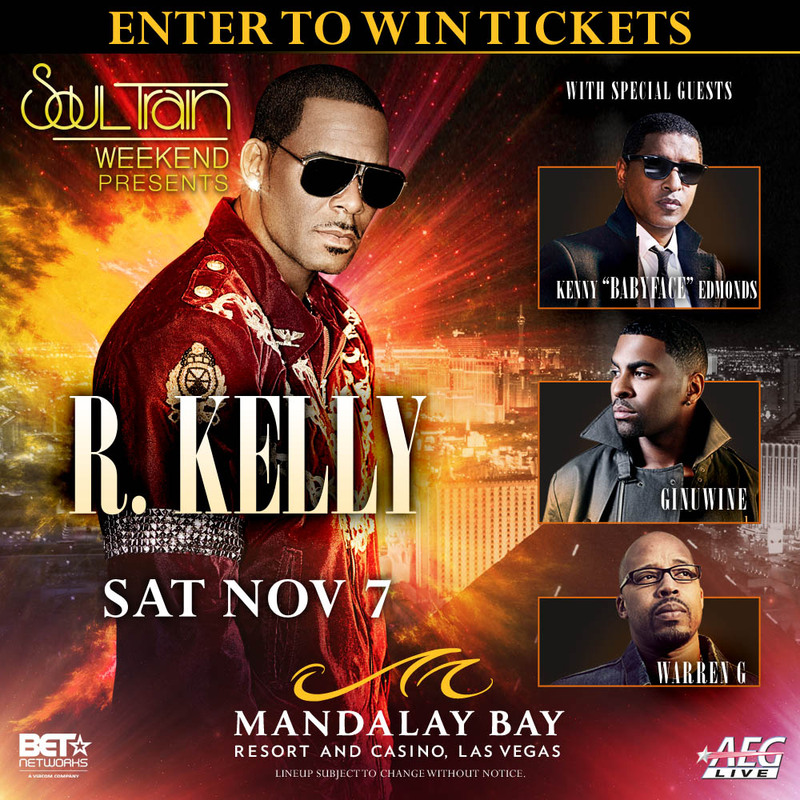 R&B legend R. Kelly will now be joined by special guests Kenny “Babyface” Edmonds, Ginuwine and Warren G for this one night event, presented by AEG Live and the 2015 Soul Train Awards Weekend. Soul Train Awards Weekend will take over Las Vegas November 5-8. Tickets are on sale now at www.MandalayBay.com or www.Ticketmaster.com. Check out our new system to increase your chances of winning by referring friends, tweeting or posting on facebook. Our new 1 click process found on step 2 and 3 of the registration process makes it easy to increase your chances. We will be having a random drawing and the winner will receive 2 tickets.